Soon, the Baby Boomer generation will recede from view and retire to nursing homes all across the country. There they will expect to receive the care equal to their honor and dignity. Unfortunately, we have already seen many cases of abuse and neglect of the elderly in nursing facilities and elsewhere. This often takes the form of bed sores (or pressure sores or decubitus ulcers) but it can include other things such as dehydration, malnutrition, sexual abuse, and falls to name a few. Therefore, we wanted to give you an outline of the laws surrounding these issues in Illinois and how they apply to situations where a person has acquired a bed sore at a nursing home or hospital. Finally, we discuss the value of bed sore and nursing home injury cases across Illinois. “Abuse” means causing any physical, mental or sexual injury to an eligible adult, including exploitation of such adult’s financial resources. “Abuser” means a person who abuses, neglects, or financially exploits an eligible adult. “Eligible adult” means either an adult with disabilities aged 18 through 59 or a person aged 60 or older who resides in a domestic living situation and is, or is alleged to be, abused, neglected, or financially exploited by another individual or who neglects himself or herself. “Neglect” means another individual’s failure to provide an eligible adult with or willful withholding from an eligible adult the necessities of life including, but not limited to, food, clothing, shelter or health care. This subsection does not create any new affirmative duty to provide support to eligible adults. Nothing in this Act shall be construed to mean that an eligible adult is a victim of neglect because of health care services provided or not provided by licensed health care professionals. Adults caring for the abused person. Generally, this Act codifies the rights that the elderly are guaranteed, the process by which the government will enforce them, and the means by which people can report instances of abuse. What are your out of pocket expenses? Defendants are liable to you for all of the out-of-pocket expenses that the abuse or sores caused you. These can include things like medical bills, lost income, or property damage. However, it can also include others. How has your life changed since the incident? People that abuse you and give you bed sores are responsible for all of the ways your life changed in a non-economic fashion, like pain and suffering, loss of normal life, and beyond. Was the defendant’s actions particularly reckless? If they were, then you can possible get punitive damages. They are meant to punish the defendant and deter similar behavior in the future. These questions broadly illustrate what you can achieve through litigation but speak with an attorney to understand exactly what is possible. Most common elder abuse scenarios involve physical abuse, mental abuse/emotional abuse, sexual abuse, exploitation, and neglect. Approximately ten percent of elderly Americans suffer abuse. 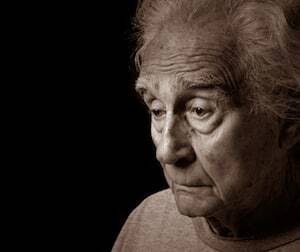 Almost 85% of elderly abuse is never reported to law enforcement. Since 2000, the rate of deaths due to bed sores increased by 50%. Median recovery for Illinois elder abuse cases is $50,000. 20% of Illinois elder abuse cases obtain more than $1,000,000. Median recovery for Illinois bed sore cases is $45,000. 14% of Illinois bed sore cases obtain more than $1,000,000. If you are bringing a case for general personal injuries, then you have two years from the date of the injury or when you first discovered the injury (or should have discovered the injury). 735 Ill. Comp. Stat. 5/13-201. If your case is a medical malpractice action, then you have two years from when the medical provider injured you and caused you damage. 5/13-212(a). Laws: If you would like to read more about the laws of elder abuse in Illinois, click here. For information about nursing home negligence attorneys in Chicago, view our page here. Agencies: To read about the agencies that monitor and investigate elder abuse in Illinois, click here. Wound Care: If you have a loved one who has a pressure sore and are seeking information on treatment options in Illinois look here. Access to attorneys at all times—from case investigation through case resolution. The necessary resources that will maximize the chances of your recovery. Communication with you throughout the duration of your case. We will never to work for corporations or physicians. So why wait? Give us a call today and learn how you can recover from your incident. Our office is committed to helping your family recover the maximum possible compensation the law allows for your case. While we prosecute bed sore cases across the country, we are headquartered in Chicago and handle bed sore cases against nursing homes and hospitals in the following areas: Aurora, Cicero, Springfield, Waukegan, Naperville, Orland Park, Rockford, Joliet, Moline, Peoria and Champaign-Urbana. If you have a situation where a loved one acquired a bed sore during an admission to an Illinois facility, we invite you to contact our office for a free review of your case with an experienced lawyer. Mean recovery for bed sore cases was approximately $30,000. Compared to the national average, they recovered about 30% less. About a third of bed sore cases involved deaths. About 14% of bed sore cases recovered more than $1,000,000. About 2% more of bed sore cases recovered more than $1,000,000 across the country. The victim in this case was an 85-year-old woman. She was admitted to the nursing facility without any presence or identification of bed sores but, upon her departure, developed stage IV bed sores in the sacral region of her body. She needed to undergo surgery to alleviate the issues that they causes but she died shortly after and doctors noted that the sores were a contributing factor to her death. Her estate sued the facility and treating doctors for negligence. The plaintiffs alleged that the defendants negligently failed to address the possibility of and plan for the emergence of bed sores. The defendant denied all responsibility but encouraged the estate to settle. Both sides reached a private settlement agreement of $600,000 prior to trial. The patient here was an elderly Hispanic man. He was living at a nursing home when one day he rolled out of bed and onto a radiator. He laid there for a significant period of time before staff found him and helped him up. From the fall, he claimed he developed pressure sores, the complications from which later required him to have an amputation. He sued the facility for negligence and sought damages related to these injuries. The defendant refused that his harms were caused by this accident and also doubted the extent of damages as claimed by the defendant so the matter went to trial. The jury believed the plaintiff’s chain of reasoning and awarded him $1,700,000. This lawsuit started after an 88-year-old woman died a few months after leaving the care of a nursing home. Her representatives alleged that the facility failed to put enough staff on her care and that that led to her improper discharge. Had they not discharged her, they continued, staff would have discovered and eliminated the bed sores that eventually led to her death. The defendants doubted almost all of this logic but they were eager to move on from this controversy so they were happy to settle. The plaintiffs recovered $2,325,000 in a private settlement. The relevant patient in this incident was Richard Obrenski. He was a 64-year-old man who suffered a number of injuries while under the care of his nursing home, chief among them: bed sores. He sued the facility under the Illinois Nursing Home Act and alleged that its indifference, sub-standard care, and wanton behavior contributed to his harms. The defendant responded that it was in no way liable and that the plaintiff was contributorily negligent by failing to heeds its instructions. The plaintiff and defendant settled this case before trial commenced for $500,000. This controversy centered on a 78-year-old quadriplegic. He developed decubitus ulcers while under the care of his nursing home. Through his counsel, he brought a lawsuit under the Illinois Nursing Home Act. It alleged that the defendant facility’s negligent care led to the emergence and spread of bed sores in his body. The defendant disagreed with the plaintiff’s contentions and argued, rather, that it provided appropriate care but that the plaintiff’s limitations presented significant difficulties in preventing bed sores. The jury found no compassion for this argument and awarded the plaintiff $1,000,000. This was actually a wrongful death lawsuit. It was brought after a 52-year-old paraplegic died from complications due to bed sores after he was awaiting spinal surgery. His wife survived him. The plaintiffs alleged that the defendant nursing facility did not properly erect a plan to stop pressure sores and that their development was the natural consequence. The defendants articulated that they did everything right and that nothing they did played any part in the man’s death. However, the jury was unconvinced. They gave the decedent’s family $2,900,000. The claimant in this instance was Lois Doty. She complained that the nursing home she stayed at was responsible for her pressure sores. Her lawsuit alleged that that they insufficiently developed or did not create at all a plan to stop them from arising. Additionally, her complaint stated that the defendant facility inadequately trained its employees, supervised her, and other related failures. Eventually, the woman died and her representatives argued that it was related to the bed sores and nursing home’s negligent care. Prior to trial, the two sides entered into a confidential settlement for $120,000. The victim in this dispute was William Valentine. He had recently fractured his hip and doctors placed him in traction until they could operate on him to perform a hip replacement. Not more than a few days later, medical staff noted that he had stage 3 pressure sores. The sores complicated into stave IV not long after this and necessitated debridement as well as stool diversion. He sued the facility and treating doctors for negligence. He alleged their incompetence led to the growth of his bed sores and he sought compensation to recover for his injuries. The defendants denied any wrongdoing so the matter went to trial where the jury awarded him $150,000 in recovery. Illinois law allows the family of an individual who has developed a pressure sore at a nursing home or hospital to file a lawsuit against the facility where the wound developed or progressed. Our law firm has experience prosecuting these cases and is committed to holding negligent facilities fully accountable. We invite you to contact our office for a free review of your situation and how we can assist you with getting the maximum financial compensation you are entitled to under the law.